This project shows how Ziptrak blinds can be customised to suit any house. 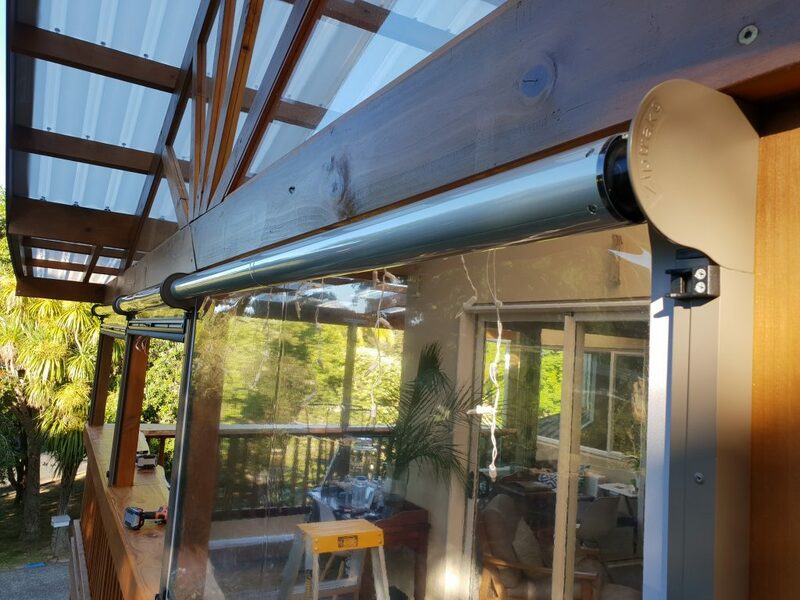 Our team installed 5 clear PVC Ziptrak blinds on the deck of this beautiful Whangaparaoa house. 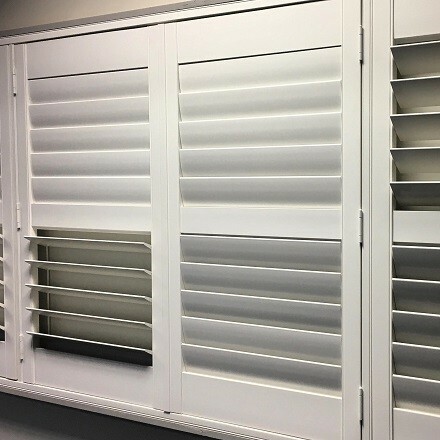 3 of these screens were fitted using face fix side channels, 2 were installed using regular inside frame channels. We also utilised back handles, as the screens were installed facing outside. To top it all, all screens were powder coated in a custom Dulux Colour – Matt Sorell. 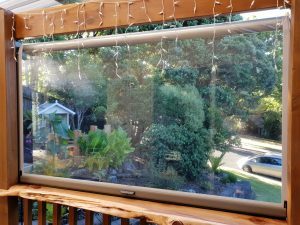 It allowed to integrate the screens perfectly into the deck. 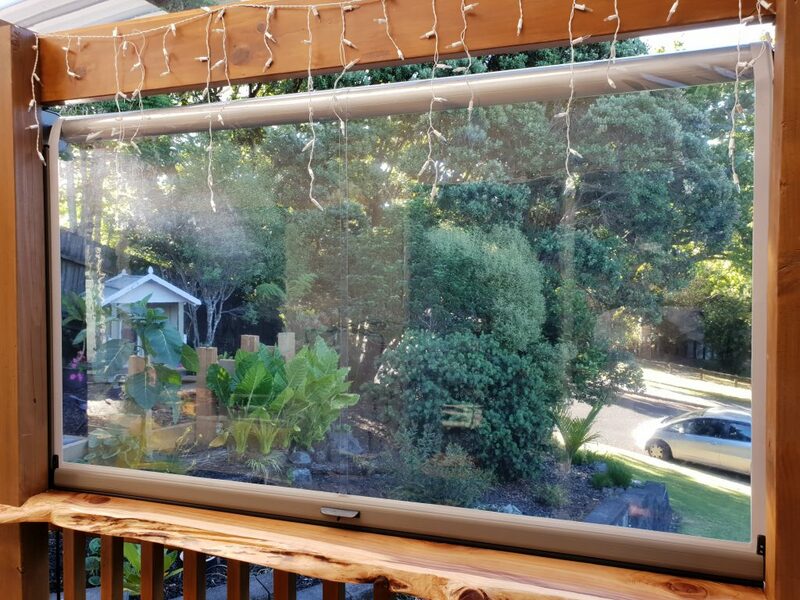 These Ziptrak blinds were manufactured using high quality Japanese clear PVC – it offers complete wind and rain protection, while keeping the view unobstructed. 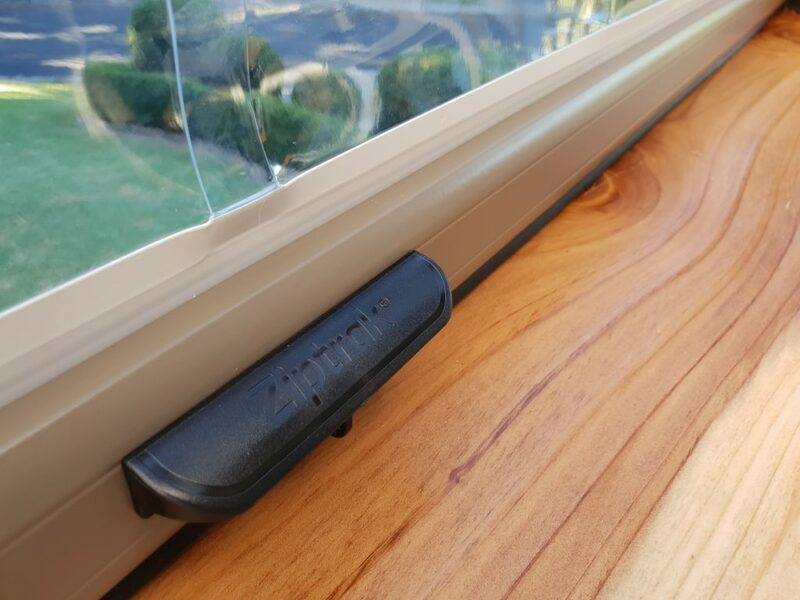 Attention to details and the highest quality of components – this is what defines Ziptrak blinds from SunGuard. 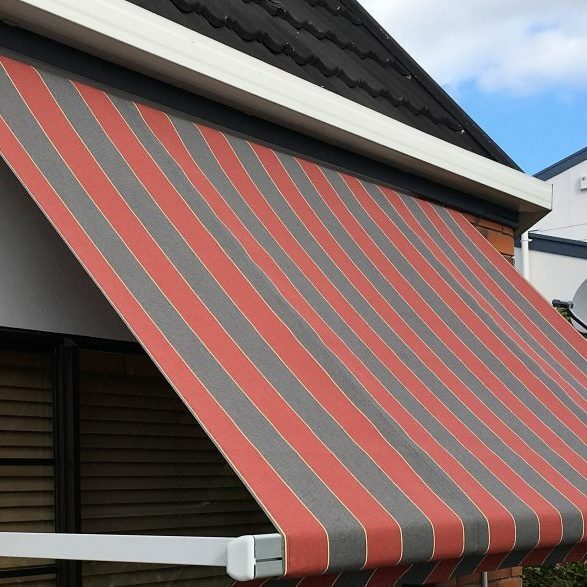 Folding arm awnings are excellent at creating additional outdoor living space. 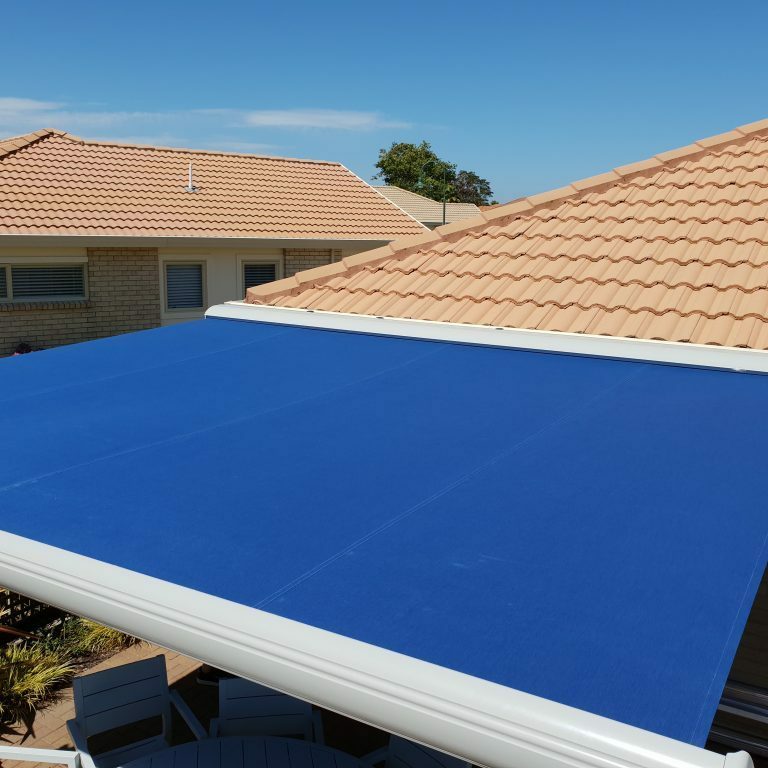 Enjoy those long summer days with your friends and family under our quality retractable awnings. 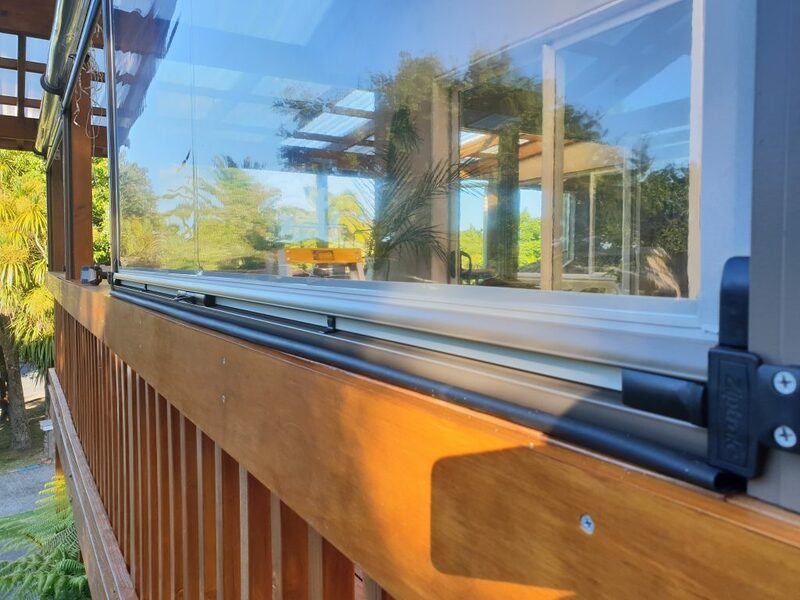 Pivot arm awnings are a creative solution of heat and UV protection for Kiwi interiors. 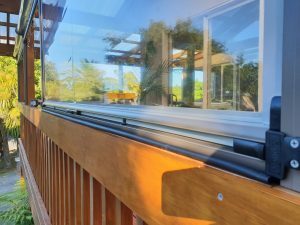 Choose awning angle according to the sun position and manage the temperature yourself. Manual and automated controls available.